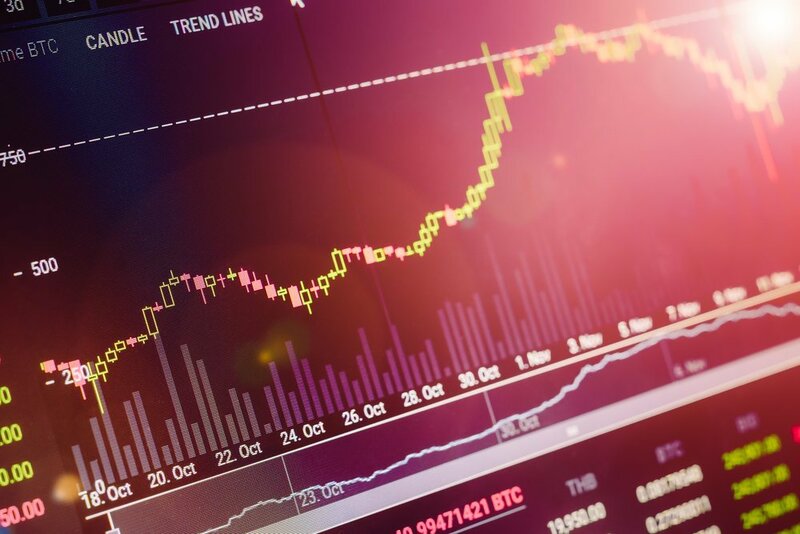 Amid yet another gloomy day for the crypto market, Thursday saw three of the industry’s largest cryptocurrency trading platforms – Binance, Bithumb, and Huobi Pro – each list a top-35 ranked cryptoasset (by market cap). These were, respectively, Siacoin (SC), Cardano (ADA), and Decred (DCR). On the day of its one-year conception anniversary, Binance announced that they would make Siacoin (SC) tradable in three of their four available markets (i.e., SC/BNB, SC/BTC, and SC/ETH). These trading pairs went live at 11:00 AM (UTC) on Thursday. Siacoin (see: whitepaper), the primary currency of Sia – Nebulous Incorporated’s variant on the Bitcoin protocol that enables decentralized file storage via cryptographic contracts – unsurprisingly spiked immediately after Binance made known their intention to list SC. Per TradingView, SC spiked by 21.7 percent just two minutes after Binance’s listing announcement, before retracing. At much the same time as Binance’s announcement, Bithumb, the popular South Korean crypto exchange which typically ranks among the top six for 24-hour trading volume, revealed that they’d be listing ADA – the native token of Cardano (see: explanatory paper). The lesser-valued Status Network Token (SNT) was listed alongside ADA, also. Already tradable on another major South Korean exchange in Upbit, the Bithumb listing suggest ADA is a much sought-after cryptocurrency in what is one the industry’s most fervent regions. As the public officially learnt of Cardano’s Bithumb listing (i.e., 02:25 AM UTC), ADA had already spiked in value by 10.1 percent in the preceding thirty-minute period; the result of Bithumb having published their blog post 25 minutes beforehand. ADA peaked eleven minutes after the official listing announcement, climbing an additional 5.3 percent from the already-spiked valuation. Cardano(ADA) and Status Network Token(SNT) will be listed on Bithumb Today! At 05:00 AM (UTC), Huobi Pro announced that they’d be making DCR, the native coin of the Decred (see: documentation hub) network, available for trade at 03:00 AM (UTC) on Friday; paired against both Bitcoin (BTC) and Ethereum (ETH). The announcement further stated that “withdrawals will be available from 11:00, June 17, 2018 (GMT+8)” – exactly 48 hours after trading commences. Whilst it took until 16 minutes after the official announcement had been uploaded for Huobi Pro to tweet about the news of the listing (i.e., at 05:16 AM (UTC)), the price of DCR was barely impacted in the interim (unlike ADA). By 06:06 AM, DCR’s dollar value capped out some 7.6 percent higher than when the tweet was shared. (#) #! Deposit has already started. DCR/ #BTC & DCR/ #ETH #trading pairs will be available tomorrow from 11:00am June 15, 2018(GMT+8). Incredibly, the DCR listing represented one of seven Thursday announcements shared by the fast-growing Huobi enterprise. Among these were the distribution of EON, EOP, and MEETONE candies to their EOS-owning customers, the launch of their inaugural crypto-tracking index (i.e., HB10/USDT), and the declaration of a FIFA World Cup-based competition that involves airdrops of the All Sports (SOC) token.